Mastering the Present or Pre-empting the Future? 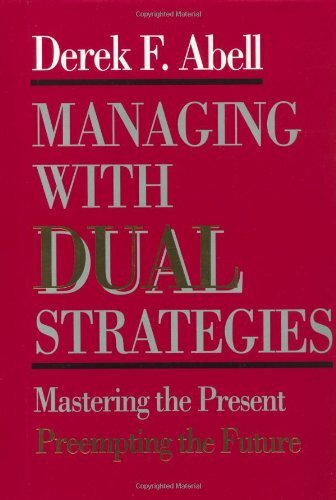 In the early nineties Derek Abell published a book called: Managing with Dual Strategies: Mastering the Present – Pre-empting the future. The little dash between these Dual Strategies was an emphatic “AND” not or. Failing to Leverage the Organization’s Core Capabilities – instead of wonderful isolation apply the organisation’s resources and capabilities in the venture. Which is your “favourite” mistake?